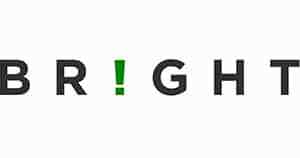 BR!GHT’s overall objective is to deliver solutions for better off grid living. Bright Products works to improve off-grid living and understand how affordable, convenient access to light can alleviate the negative effects of living off-grid, and improve family economy, education, health, and safety. People who live in off-grid communities in Africa, Asia, and South America are BRIGHT’s core market. This includes refugees and displaced people that depend on aid and relief organizations. Bright Products is headquartered in Oslo, Norway and has 10 employees as of March 2017. Current products include SunBell solar lantern and mobile phone charger, and SunTurtle solar light. Bright Products is a privately owned for-profit company, that is committed to a sustainable approach. The company uses the Future-Fit Business Benchmark to define extra-financial goals, measure progress and identify corrective actions for all our activities.